The Very Best Diet for Type 2 Diabetes! For those afflicted with type 2 diabetes, diet can be one of the most important tools to staying healthy and avoiding serious medical problems. Diabetes carries with it a number of dangers including a heightened risk of heart disease. At the same time, it’s rapidly becoming a more common condition, affecting millions of people in the United States alone. While a healthy diet is important to everyone, and is a good way to prevent diabetes in the first place, it’s especially important for those with diabetes to stick to a proper diet in order to manage their health. There are several types of diabetes, but type 2 diabetes is by far the most common, affecting both man and woman at any age group. In type 2 diabetes, the body forms an insulin resistance, making it difficult to get energy from glucose (sugar) in the blood. This means that blood sugar levels and insulin must be carefully managed by the diabetic, primarily through diet, blood sugar monitoring, and insulin injections. In addition, type 2 diabetes is associated with a number of health risks of its own, so a healthy type 2 diabetes diet will focus on lowering the risk of these conditions. 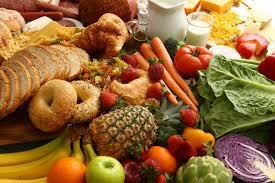 A type 2 diabetes diet starts and largely revolves around carbohydrate counting. Carbohydrates are, essentially, sugars. This means that when eaten they affect your blood sugar levels almost immediately. By carefully counting the servings of carbohydrates you’re going to eat, it’s possible to circumvent many of the most serious problems of diabetes. Carbohydrates come in two different forms, simple and complex. Simple carbohydrates are basic sugars such as fructose or lactose which the body can use immediately upon beginning digestion. These are found in things like fruits and commercial sugar. Complex carbohydrates are built of these sugars as well, but require more work and time for the body to reduce to base sugars and put into the bloodstream. Flours, rice, and potatoes are good examples of complex carbohydrates. Any bread, grain or starchy food like pasta will be rich in complex carbohydrates. By monitoring your blood sugar before your meal and then estimating the carbohydrate servings you are about to eat, you can predict your blood sugar fluctuations with a high level of accuracy. 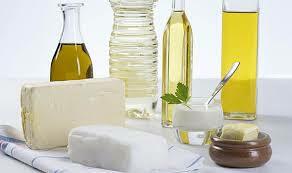 A good type 2 diabetes diet will also focus on reducing fats. Calories from fat contribute to obesity and fat also influences risk of heart disease. Your type 2 diabetes diet will likely involve eating less meat or leaner meat, cutting out butter and dairy products, avoiding trans fats entirely and using healthy vegetable oils when cooking. Finally, fiber is vital to a type 2 diabetes diet. Taking in a large amount of fiber, mainly from vegetables and whole grains, has a number of benefits including lowering your “bad” cholesterol, increasing your “good” cholesterol, slowing digestion (and thus blood sugar fluctuations), and decreasing risk of heart disease. These considerations, along with a trip to a professional dietitian, form the basis of a strong type 2 diabetes diet. ← The Very Best Way To Clean Your Eyeglasses! Starting CBD Oil? Then You’ll NEED an Eye Exam! Eye Injuries: What To Do!